With only 30 villas, Kandolhu is the definition of an exclusive Maldives resort. It's a place that has perfected barefoot luxury with privacy, intimacy and great food! 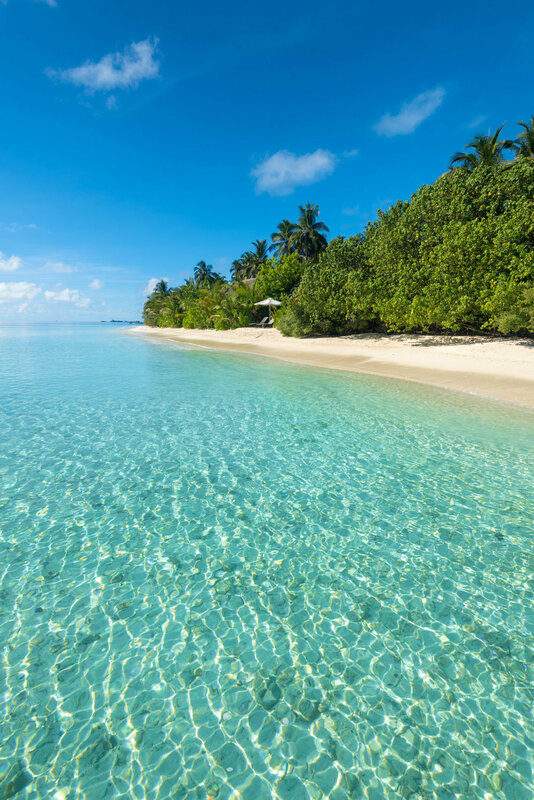 After staying for a few weeks in Maldives, Chris and I were both hooked, and it’s easy to understand why; The warm, crystal clear waters, white sandy beaches, the exotic animals swimming inches from you, the swaying palm trees -- there’s a lot to love! So when we decided to extend our stay in this beautiful island country a little while longer, we scrambled trying to find that "perfect gem" of a place. We both wanted something quiet, intimate, small and most importantly, something that felt authentic. And without a question, I am convinced we found that special place at Kandolhu Island! A short 25 minute seaplane flight from the capital city of Male, Kandolhu Island is everything we were hoping for in our trip to the Maldives -- and more. From the tranquil, secluded setting and amazing coral reef encircling the island, to the wide selection of high quality dining options and unlimited mini-bar, Kandolhu had completely won us over. 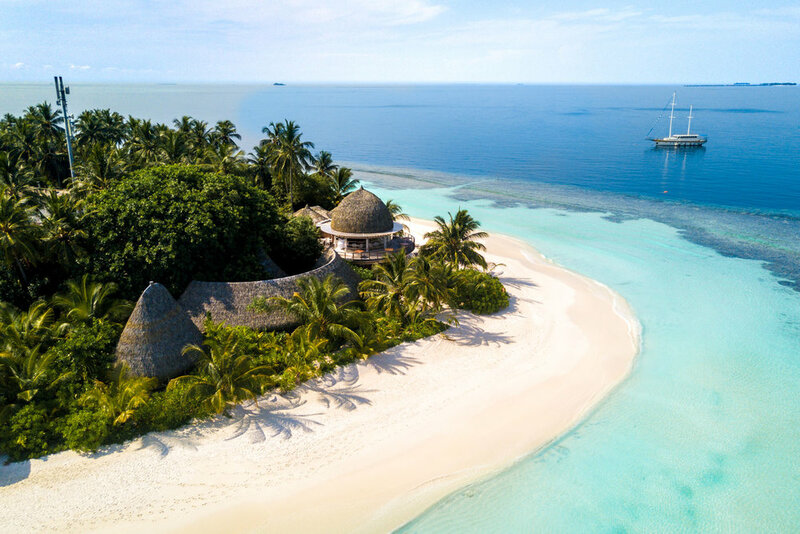 So, if you're like us, and want to experience a boutique resort in one of the most luxurious settings in the world, we strongly suggest that you add Kandolhu Island to your bucket list. Here's why. With 30 villas spread across the island, we never had to worry about crowded bars — or needing to fight with other guests over the best lounge chair. Even at full occupancy, it somehow seemed like we had the entire island to ourselves. Walking around the island (which only takes about 15 minutes) we only encountered a few other people, who were watching the sunset, enjoying cocktails on their balcony or meeting in the bar. Peaceful, small, quiet and and perhaps best of all — absolutely no children. Kandolhu was designed by famed Maldivian architect Mohamed Shafeeq. The islands 30 villas and facilities are very contemporary, yet comfortable -- and feature modern furnishings throughout. 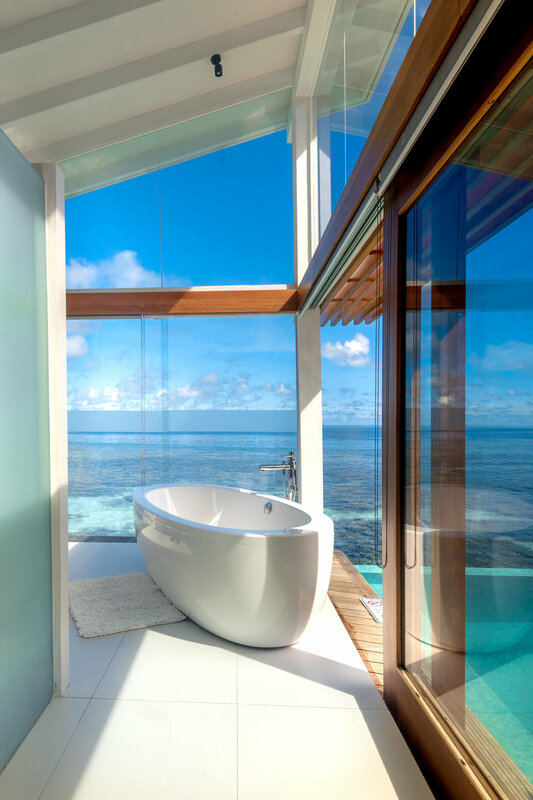 Whether you’re sitting at dinner under the luminance of a custom made lamp casting shadows on a wall of re-purposed coral, or staring up at the ceiling of your bedroom, which was meant to mimic the look of an inverted Maldivian boat, the hints of the Maldives past are apparent throughout the property. It's the mixing of past and present which makes Kandolhu’s design so special. You won’t find standard and you won’t find bland -- and you certainly will not feel like you at any other resort you've ever stayed at. Every detail has been thoroughly curated and the result is a minimalistic yet comfortable atmosphere. During our stay we stayed in a Duplex Pool Villa which features a large living room on the first floor, and a private bedroom on the second. The villa had two bathrooms, one of which was fully outdoors, complete with a large soaking tub and shower. In addition, each villa at Kandolhu comes complete with great amenities like a personal iPad, fast Wi-Fi and our personal favorite; a fully loaded bar and wine fridge, which was included in our plan and restocked daily! The balcony from our bedroom provide views of the sunset across the Indian ocean. 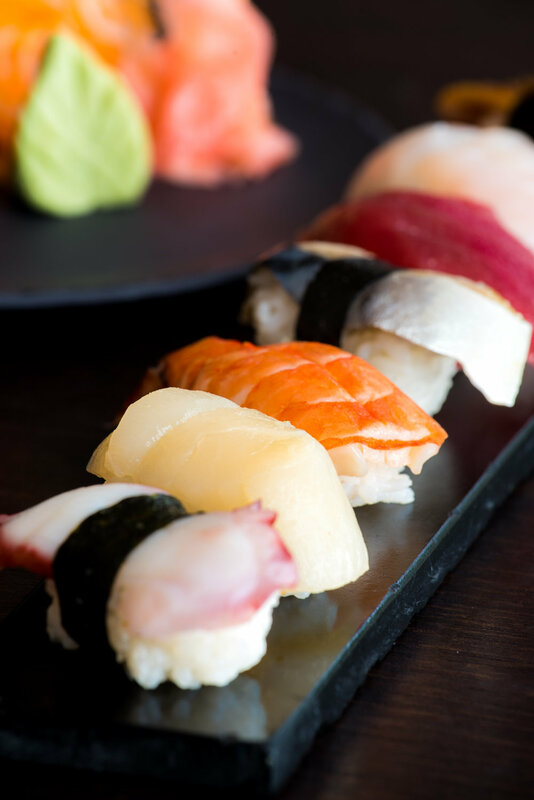 If you're foodies like us, then the dining options you have while traveling can often be just as important as accommodations (and sometimes even more important!). 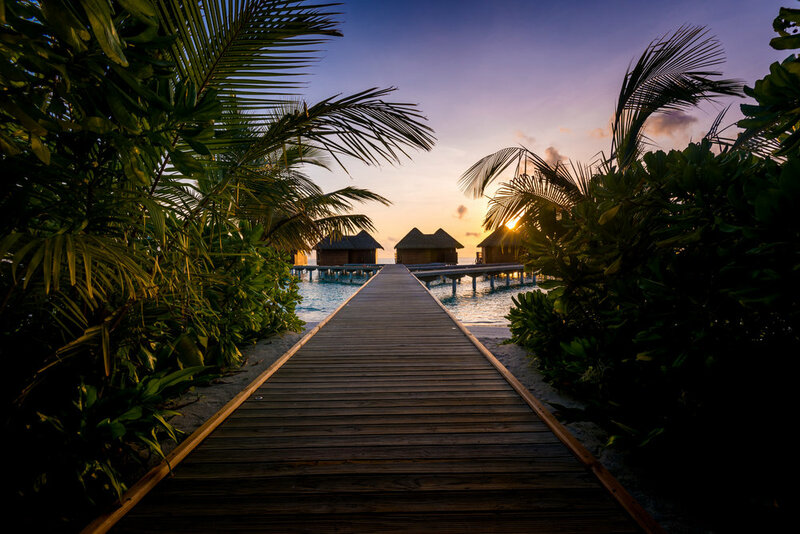 Since each resort in the Maldives is situated on it's own island, you are pretty much at the mercy of your hotel to provide you with all meals. Luckily for us, Kandolhu not only contains an astonishing number of restaurants (four in total, for only 60 guests), but the food served was inventive, diverse and delicious. Nothing can ruin a vacation to the Maldives like having to eat at the same lunch buffet every day! It only took us one meal at the Sea Grill to realize that the team at Kandolhu knew what they were doing when it came to food! 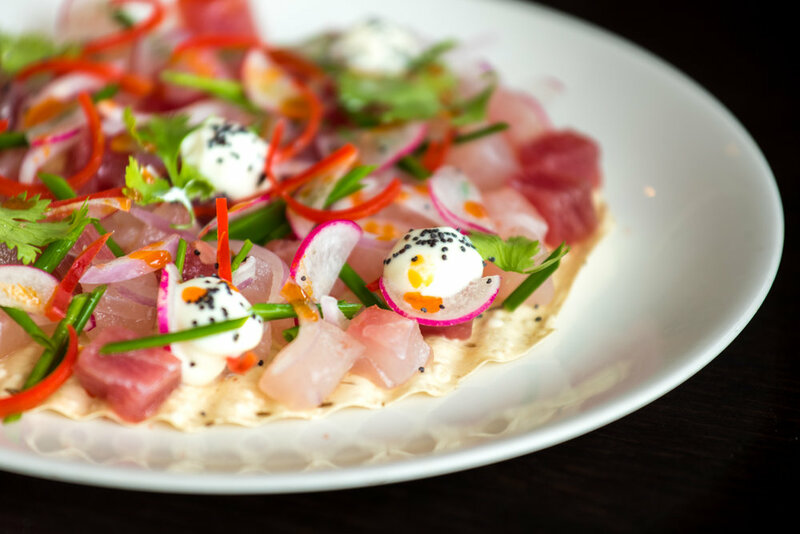 One night we dined on seared sea scallops, tuna rolls, freshly grilled fish and Tandoori lamb cutlets that had been slowly cooked in a Tandoori oven. The next night we were one of 6 guests sitting at Banzai, their Japanese restaurant, where we had the best waygu beef prepared on the teppanyaki grill. The rest of our meals were rotated with fresh salads, healthy breakfasts and delicious Italian dishes.. I can still taste the fried rice from Banzai…. So if your idea of a perfect breakfast is granola and fresh tropical fruit washed down with prosecco... Or you're craving a healthy salad, or authentic Italian panini for lunch... and then want to finish off your day with fresh sushi and teppanyaki for dinner, or maybe just a plate of Iberico ham with manchengo cheese you can! The choice is yours! It wasn’t until our last day that we heard the best story though; Apparently a team member learned that a couple didn’t drink wine, but loved Coronas. So when they came back to their villa, a fridge full of Coronas was waiting for them. Hmmm…I wonder if they could do that with Negroni's? Like most resorts in the Maldives, Kandolhu has a picture perfect sandy beach, clear waters and palm trees galore. Yet, what sets this island apart is the spectacular coral reef that encircles the entire island. Imagine being able to step outside of your villa and snorkel through one of the liveliest reefs in the Maldives! In fact, just standing on the beach we could see countless reef sharks (don't worry they're small and don't bite!). Once we got in the water we found plenty of colorful corals and schools of bright fish of all sizes. Yet for us, the highlights were definitely swimming with the many sea turtles that lived among the corals and the quick glimpses of sting rays and sharks. If you want to go scuba diving, Kandolhu can coordinate that as well. The island features a fully equipped dive center -- but take our word for it, once you see how great snorkeling around the reef is, you won't even want to leave to scuba dive! Since Kandolhu Island is so small, you won’t find a large organized activity list (thank god) or any crowded excursions. Instead you have the option to build an itinerary that is customized to exactly what it is that you want to do each day! Want to go swimming with a whale shark in the morning, stand on the beach of a tiny tropical island all by yourself in the afternoon, and go on a sunset cruise in the evening? No problem. Pretty much anything you can think of doing, can be done. On our last day, we had a private speed boat take us to a deserted island with Marc and Laura, the dynamic managers of Kandolhu. With a cooler full of Cava and beers we spent the afternoon laying in the sun, snorkelling and just taking in the raw beauty of the Maldives. Being surrounded by water, a few palm trees and great company is our version of paradise. Being the only people on a secluded island watching the sunset and then cruising off into the sunset, is an experience everyone should have, at least once! There is one thing you will get plenty of at Kandolhu...tranquility. When you're there, you will feel like you are a million miles from everyone else. And odd's are, you can even go much of the day without seeing anyone else. For us, this was perfect. We don't need live music, or organized activities, or jet skis to keep us amused during the day. Give us a quiet beach with a lounge chair and a cold beer -- or a private pool where we can relax and float the day away and we're happy. At Kandolhu, we got exactly what it was that we wanted, and it was perfect. After a strenuous day of laying on the beach, and floating in the pool, we even opted to visit their spa for a relaxing massage. From the calming smells and private pools, all the details are meant to relax, rebalance and strengthen you. Chris and I had a couples massage and all I know is that our knots were magically worked out, our bodies never felt so soft and smooth and we were totally invigorated! Walking into the Varu spa, you're instantly put at ease. 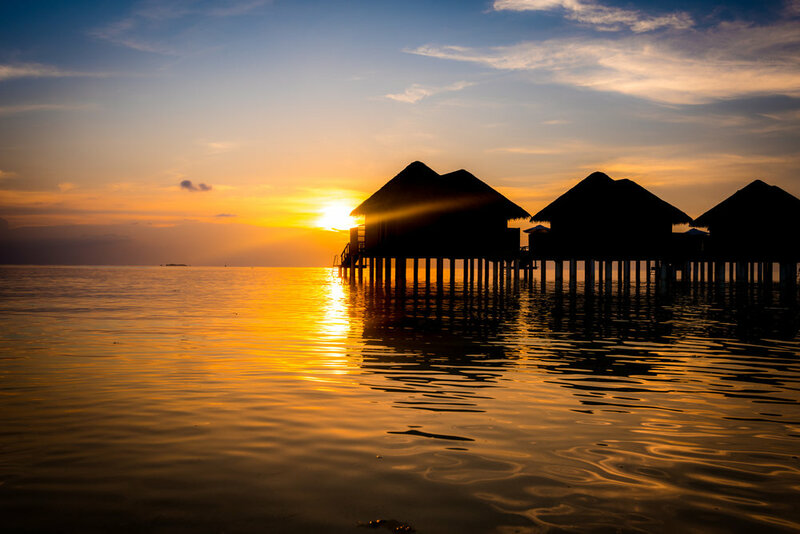 It’s obvious that the team at Kandolhu are fiercely proud of their little corner of the world — and they are clearly driven with the passion that is so rare to find in hospitality. Their smiles are genuine and the service is outstanding! It was clear to us that they spent the time to get to know us and always made us feel like we were staying at their home and not just a tropical resort. It’s perfect barefoot luxury and never once do you feel the pretentiousness that can sometimes comes with five star properties. Thank you team Kandolhu, we can't wait to come back!